Getting there: Take M72 West from Grayling to 93 South (blinker light) to Old Mill Lake Road. What's there: Enjoy over 35km of beautiful Nordic ski trails, groomed daily to host Classic and Skating style ski techniques. 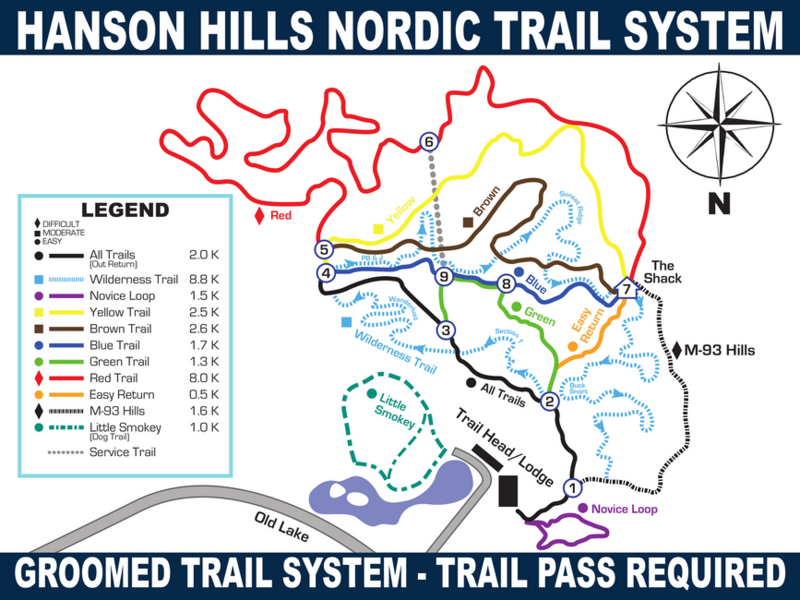 Hanson Hills offers a fun and challenging trail system for all abilities of skiers. Want to get off the main trail system, take a 8.8km tour of our "Classic Only" wilderness trail. Hanson Hills sponsor several races each season, does awesome grooming, and has a nice flowing trail system. Highly Recommended!